We’d love your help. 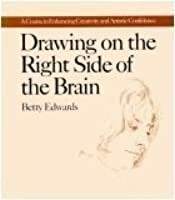 Let us know what’s wrong with this preview of Drawing on the Right Side of the Brain by Betty Edwards. This Deluxe eBook includes over 35 minutes of video featuring Betty Edwards illustrating the core techniques of her enduring classic. A revised edition of the classic drawing book that has sold more than 1.7 million copies in the United States alone. 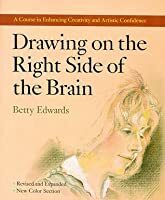 Translated into more than seventeen languages, Drawing on the Right Side of the Brain is the world's most widely used drawing This Deluxe eBook includes over 35 minutes of video featuring Betty Edwards illustrating the core techniques of her enduring classic. To ask other readers questions about Drawing on the Right Side of the Brain, please sign up. Is it ok to skip some of the text? I dont care about the science stuff, just want to do the exercises! I want the advice of my friends as possible ...? - I think it can be a good book for beginners, however, it lacks a lot of important information about drawing. - I don't know if the focus of the book was only to silent the L-hemisphere of the brain or to teach us how to draw. I sense it was more to say that L-hemisphere is not artistry and R-hemisphere is. - The last two chapters of the book I sensed was more about the Author's own opinions about the way she can use the tools rather than actual facts. One can have theories and create a lot of opinions on how to fit them into reality but do that really work? - A lot of self-theories but not real facts. I sense a deep explanation of her beliefs but zero proof for it. When it comes to things like explaining scientific concepts like the brain. Where are the graphics, documents, pictures? I understand there isn't the "perfect" book of art and I learned a few things reading this book. I followed all her drawing instructions but at the end... things like shadow/light are lacking explanation. Ohh this book. 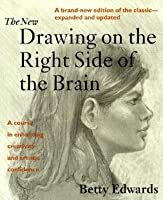 No wonder the college drawing class that required this book frustrated so many of its students as much as it taught them. Having re-read this book in its entirety, I have to say that it's a wonder any of us continued to draw after graduating that class. 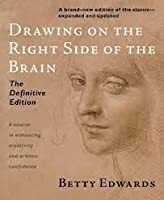 If you can ever get past the horrendously warped theology and the interesting, but ultimately aimless ramble through neuroscience, there’s a fairly decent introduction to some useful drawing skills in the final few chapters of this Ohh this book. No wonder the college drawing class that required this book frustrated so many of its students as much as it taught them. Having re-read this book in its entirety, I have to say that it's a wonder any of us continued to draw after graduating that class. If you can wade past all of that, however, the actual drawing instructions in chapters 6-11 are quite well written and educational. Mercifully, this section of the book is relatively free of the author’s meandering theories. In the back half of the book you’ll find wonderfully simple-to-comprehend lessons on perspective, sighting, portraiture, foreshortening, negative space, shading, and a short lesson on colour theory. Things that are actually useful when learning to improve your drawing skills. As an introduction to drawing this book isn't terrible. The entire introduction could be summarized with the sentence, "Draw what you see and stop symbol drawing." A lot of experienced artists like to recommend this book to absolute beginners just to drill that sentence. Unfortunately the author loves to distract the reader with pseudoscience instead. This book made my head hurt. I was shown this through a friend and asked to use it - I tried and tried to "get into it" but it seemed too formula-oriented. Perhaps since I already live in the right brain as a left-hander it seemed silly. Perhaps because I am an artist I felt stifled. I cannot tell you the reasons. For some, this might be a wonderful opening. For me, it just made me tired. 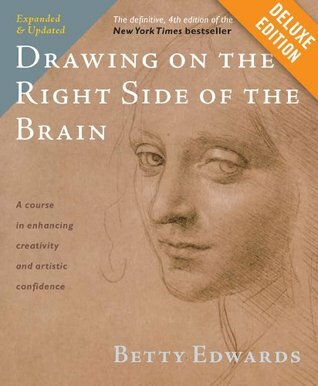 When I was seriously focusing on teaching myself how to draw, this book gave me confidence to learn skills and keep trying. It's helpful and gentle. I recommend it to anyone who wants to learn how to draw. An interesting read, but few new insights. What I thought well I only read to chapter 10 and that was reLy good so now I will keep reading and see if there are anything else to comment. This review has been hidden because it contains spoilers. To view it, click here. a good book, i think. Wasn't that impressed. Some excellent material but parts read like a bad infomercial.